Oppo has currently launched its second smartphone Realme 2 under its sub-brand Realme. Realme 2 is an upgraded variant of the last phone Realme1. The intention of oppo to launch a very cheap phone with the Realme brand is to strongly compete with Xiaomi. Most smartphones in the country launch in the budget segment and Realme 2 is the new name added into this segment. There are lots of smartphones present in the Indian market with less than Rs 10,000 in the Segment. OPPO Realme 2 price starts at Rs 8,990. The price of base variant of 3 GB RAM is Rs 8,990 and 4 GB RAM variant is aggressively priced at Rs 10,990. The phone has been launched in India in Diamond Black, Diamond Red, and Diamond Blue Color. I have used the phone with 4 GB RAM and 64 GB storage variant. Let's discuss whether this smartphone has the ability to kill the market or not. The Realme 2 comes with a new glossy design look. The phone is made of matte finish metal body and has 2.5 de front glass and glass back which makes the phone cool. 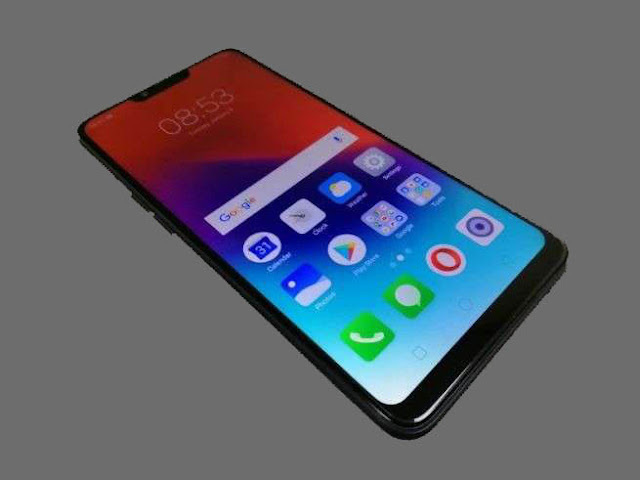 This phone looks like a combination of Realme 1 and Oppo F9 Pro. It's Diamond Cut design is similar to the Realme1. The weighs of the phone is 168 grams and its dimensions are 156.2 x 75.6 x 8.2 millimeters. Looking on the front of the phone, You will find a notch which has a selfie camera and an earpiece. A good quality Speaker, Micro-USB ports, microphones, and 3.5mm audio jacks are also available on the bottom side of the phone. This phone has a dual Nano-SIM card slot on the left side and the volume buttons are given on the right with the power button. There is a dual camera setup on the back a 13-megapixels a 2-megapixels for depth sensing on top with LED flash is available. A fingerprint sensor has also been placed in the middle. The logo of'Realme' can be seen on the rear below. The phone doesn't look big. This phone can be easily used with one hand and it does not slip through hands. The matte finish gave on the edges of the phone which makes convenient to hold it with one hand while taking photos. The Realme 2 has a 6.2-inch HD + display, It's screen-to-body ratio is 88.8 percent and the resolution of the screen is 1520 x 720 pixels and the aspect ratio is 19: 9. The viewing angles of the phone are really nice. The colors of the display are sharp but it is not shiny. After all, nothing is special in the display but it does not disappoint too. The phone has a 1.8 GHz Qualcomm Snapdragon 450 processor and Adreno 506 GPU. The handset has 4 GB RAM and 64 GB inbuilt storage which can be increased up to 256 GB via external MicroSD card. The phone is available in 4 GB RAM / 64GB storage and 3 GB RAM / 32GB storage variant. 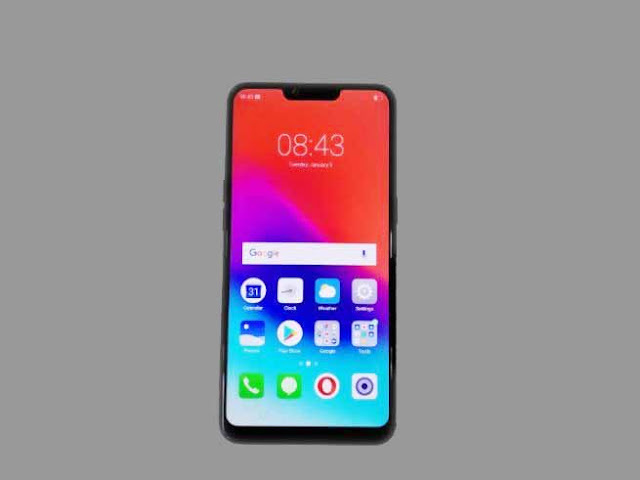 This smartphone runs on the ColorOS 5.1 operating system, which is based on Android 8.1.0. The phone has all necessary features like 4G VoLTE, GPS, Bluetooth, Wi-Fi and OTG. In addition to this Light sensor, G-sensor, Accelerometer, Magnetic induction sensor and Proximity sensor are also provided in the phone. The phone has some user-friendly features such as full-screen multitasking feature, 3-finger screenshots and much more. As the name goes with the screenshot can be taken by swiping down three fingers on the screen. Apart from this, features such as an assistive ball, smart driving, smart call and smart assistant are also available in this phone. Through the clone phone setting, complete data can easily be transferred from one phone to another. On the other hand, it is easy to run two social media accounts on a phone using the Clone App feature. The phone comes owesome options like fingerprint sensor, face unlock and passcode are available in the phone. While testing I have been able to use all three options well. The speaker in the phone is great for listening music and watching videos in a small room. However, to avoid faster volume and background noise, I would recommend you to use earphones to get better sound quality. In addition to this Realme game space setting has been given for gaming enthusiasts. Gaming Acceleration, Network Protection and No Disturbance can be played with no hassle games one weak uses. The phone has achieved fine scores on the benchmarking website. While running the phone, we did not see any problem like hanging it withing 7 days, the handset's performance in this price phone is fine. The user interface is very easy in Realme2 and there are no apps available for it. In the file manager, you will find options like audio, video, photos and documents. When you open the camera app on the phone, you could find modes like HDR, time-lapse, video, photo, portrait, sticker and panorama. In daylight condition, the two rear cameras of the phone shoot clear photos with dated. But objects that are visible to you like trees and vehicles are also visible in it, but this happens only after zooming out. PDAF (Phase Detection Technology) has been also used in This phone. The selfie camera disappointed me at night. The screen does not make any difference with the flash on or off, and the photos appear to be very noisy. Talking about the front camera, Sharp photos are not seen in both outdoor and indoor situations. Video recording can be done in 1080 pixels and 720 pixels from the phone. The recorded video is clear in the day but it struggles at night. Realme 2 takes around 3 hours to charge full charge from 0 % to 100%. Withing few uses, I have been able to run the phone for about one and a half days. The phone battery lasted 9 to 10 hours with the normal use. Realme2 comes with a 4230 mAh battery and has 2 days great battery backups. After continuous use of about 2 hours, the phone starts to warm up. A catwalk where companies try to to compete with each other, there are many good things in this phone. Realme 2 has a 4230 mAh battery, which is an important factor. However, the design of the phone is good, but its performance is fine. Mid-range features are available today in a category with less than Rs. 10K. Camera performance is fine in daylight. Look at the price and if you do not want the camera. But if you want a budget phone with a strong battery life then the Realme 2 phone is for you.